Twenty five years ago, boxing’s penultimate division bore an extremely different resemblance to the one that encapsulates our attention today. With the exception of just two fighters, the entire top ten was filled with American heavyweights. Fast forward to today’s generation and only three now represent this once dominant nation. Boxers from the U.K., New Zealand, Europe and Mexico now make up the various governing bodies rankings. Never more has the division been represented with a more varied “World” rankings. But how do these champions and contenders compare to those that held court “back in the day?”. And in a straight head to head meeting, who would have emerged victorious? Let us compare the top five from each era: (N.B. Tyson Fury omitted due to inactivity). Bowe (32-0, 27 KO’s) and Joshua (20-0, 20 KO’s) have a lot in common at this point in their careers. Bowe was coming off an outstanding win over Evander Holyfield to capture the undisputed championship. He proved his heart and ability in one of the greatest fights in the divisions history and looked set for a dominant reign. But instead of meeting number one contender Lennox Lewis, he chose to give up his WBC title and forge his own path. The owner of a powerful jab, he was also an outstanding in-fighter. Joshua too has many still asking questions of him. In capturing two titles, he displayed crushing power early on, and answered questions about his chin and heart in a thrilling off the floor win over former champion Wladimir Klitschko. Question marks still lurk though about his stamina and musclebound physique. He possess similar tools to Bowe but, despite being an Olympic champion, he is still relatively inexperienced compared to Bowe at this point. Prediction: Bowe TKO 10. As with the previous two, Lewis (22-0, 19 KO’s) and Wilder (39-0, 38 KO’s) are both at similar paths in this stage in their careers. 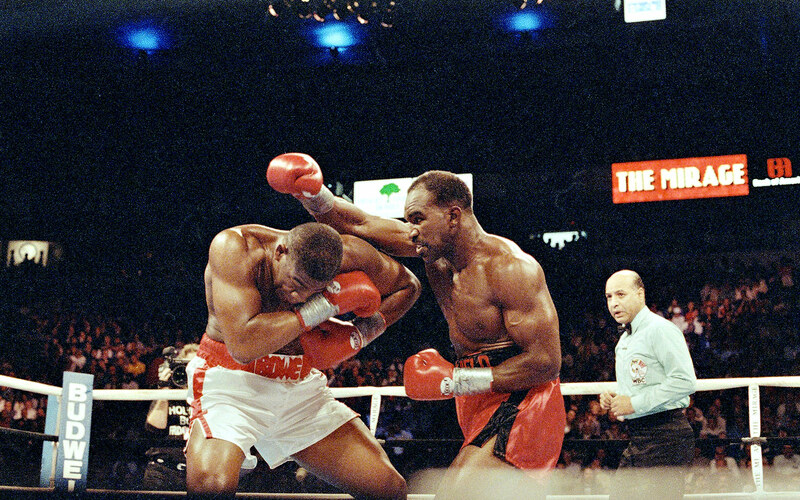 Lewis was awarded his title on the strength of his two round demolition of Donovan “Razor” Ruddock after Bowe refused to meet him. But critics were slow warming to the British fighter. He was at the beginning of what would be an illustrious career and was nowhere near the polished champion he would become. In fact, he was described by many experts as clumsy, off-balance and ponderous. His jab and fight-ending right hand were there but he didn’t have the look of an all-time great. Much of the above has been aimed at Wilder. He too is known for his jab and one punch knockout power, although he has also shown a lot more vulnerability than Lewis. And despite six defences, his opposition has been of a lesser calibre than Lewis at this point. Moorer (30-0, 28 KO’s) had captured the WBO title in a five round war with Bert Cooper, relinquishing shortly after, and was gunning for the top echelon of the division. The vicious punching southpaw had held the WBO strap down at 175 lbs before bypassing the cruiserweights in search of heavyweight glory. He started his career with 26 consecutive knockouts before utilising his underrated boxing skills with his power against bigger opposition. Povetkin (33-1, 23 KO’s) was a standout amateur, winning gold at the 2004 Olympics. As a professional, he won the WBA ‘regular title before suffering a points loss to Wladimir Klitschko. The Russian has an aggressive style and solid power, evident in his knockout of the rugged Carlos Takam. Tucker (48-1, 1 NC, 39 KO’s) was on the verge of challenging Lewis for his WBC title but, in truth, had peaked a few years beforehand. He had won the IBF title back in 1987 before losing on points to Mike Tyson in a unification. Since then his career a had ticked along, but it was through his promoter Don King that he found himself so highly rated by the Mexican based organisation. Cuban Ortiz (28-0, 24 KO’s) turned professional late at age 30 after a solid amateur career. The southpaw has shown skill and power but has had several lacklustre displays, and has also failed drug tests on two occasions, raising questions about his commitment. On his day though, he is a handful for anyone.